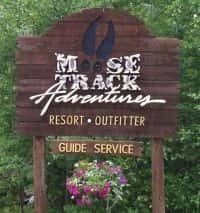 Greetings from Moose Track Adventures Lodge, Outfitter, and Guide Service in Ely Minnesota. 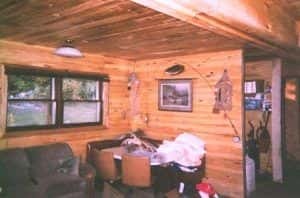 We would like to take this opportunity to introduce ourselves: Jim lived in Ely and operated Four Seasons Adventures, which specialized in custom guided wilderness canoe and fishing trips along with winter dog sledding, and skijoring adventures. Joan worked in the outdoor gear & clothing industry for eight years where she became knowledgeable of the vast array of outdoor products on the market. 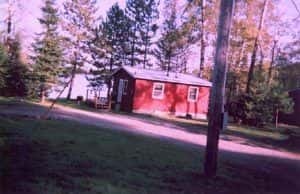 We met September 2000 on one of Jim’s guided wilderness canoe trips, which ironically departed from the Farm Lake Access (just down the road from the resort) and a year later we were married and decided to continue our adventure in Ely. 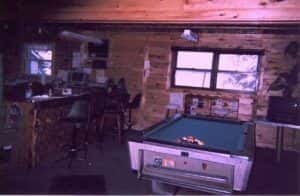 We purchased the resort formally known as Ojibway Resort and changed the name to Moose Track Adventures Lodge, Outfitter & Guide Service in September 2002. We truly enjoy what we do and we place a great deal of pride and satisfaction in the personalized services we provide our customers. 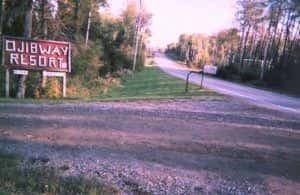 We are the 4th owner of the resort that was originally started in 1968. 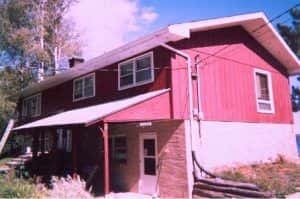 Cabin 1 (now known as Bear Paw Cabin) was built first and the owners lived in it while the lodge was built. 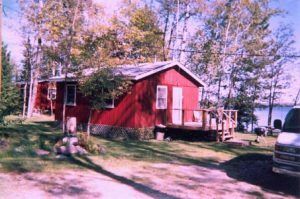 After finishing the lodge/owners house above, they built the additional 4 lakeside 2-bedroom cabins. 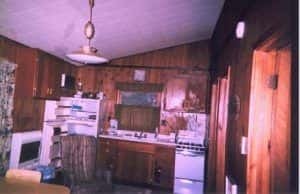 Here are a few pictures of the resort when we bought it in 2002. 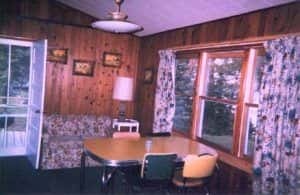 Dark 70’s paneling throughout, formica kitchen tables and red exterior. 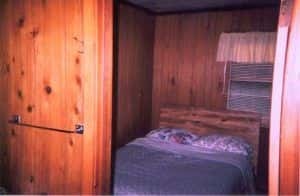 The first remodel that Jim tackled winter of 2002 was remodeling all the cabin bathrooms. Wish we would have taken pictures of them for a ‘before’ picture.